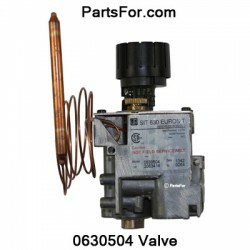 The replacement 0630504 Eurosit has an On/Off modulating plug installed. To achieve similar performance as the original control, remove the plug in the replacement control using a flathead screwdriver and set aside. Remove the Min Rate Screw from original control and install it into the replacement control in the same location.